This nettle soup is amazing! It’s a gorgeous rich, yellow colour and full of vitamin A, vitamin C and antioxidants! I was inspired to go nettle picking today in the glorious sunshine! 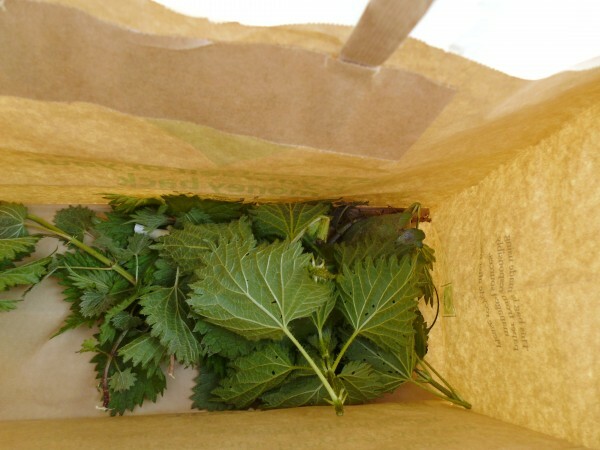 l took a paper bag and collected nettles (wearing gloves!) just a few minutes from where I live! 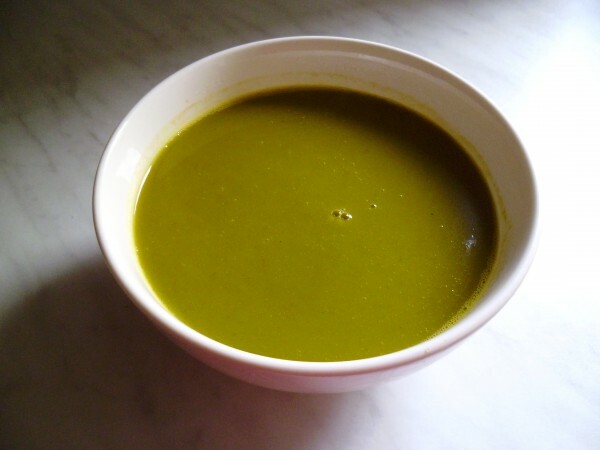 Nettles are in season between April to May and make this delicious, nutty soup! Bake the carrot and sweet potato in the oven for 45 minutes at 200C. Melt the coconut oil in a large heated pan. Chop up the onion and sizzle in the pan, followed by adding the chopped garlic. Wash the nettles (I used gloves!) and cut off any roots. 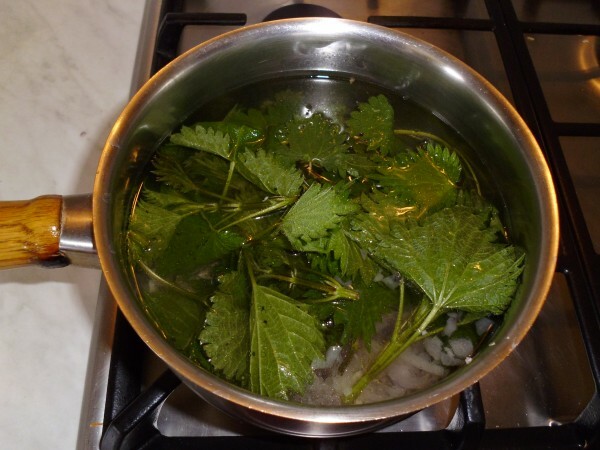 Pour the water into the pan and add the nettles. Chop up the carrot and sweet potato and add to the pan. Now add the thyme. Finally leave to cool for a few minutes, then add the soup to a blender or use a hand blender to make a smooth soup.